Remember when I said that I think I would have to forget about the garden this year? Well, look what I found in the garden today! 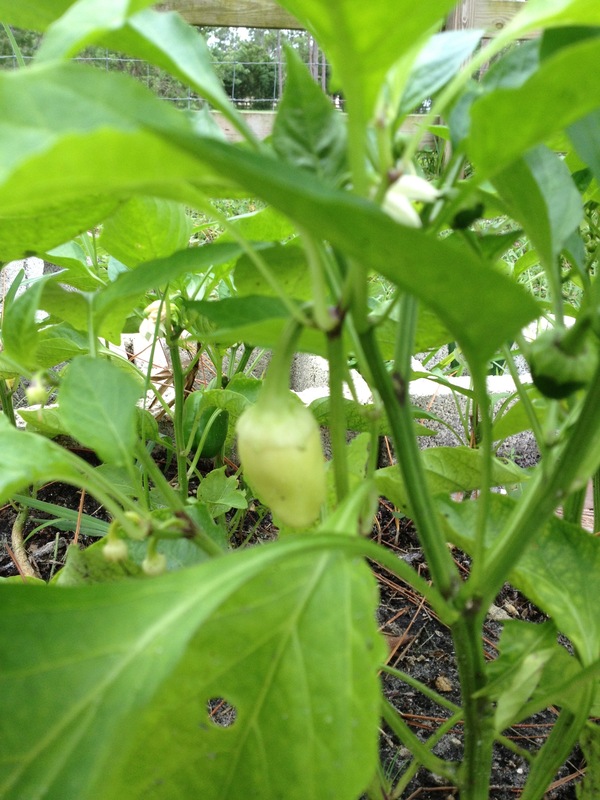 It’s a itty-bitty baby pepper! A few of them, actually! And finally, this is growing all over, but I have no idea what it is. Any one care to take a guess? 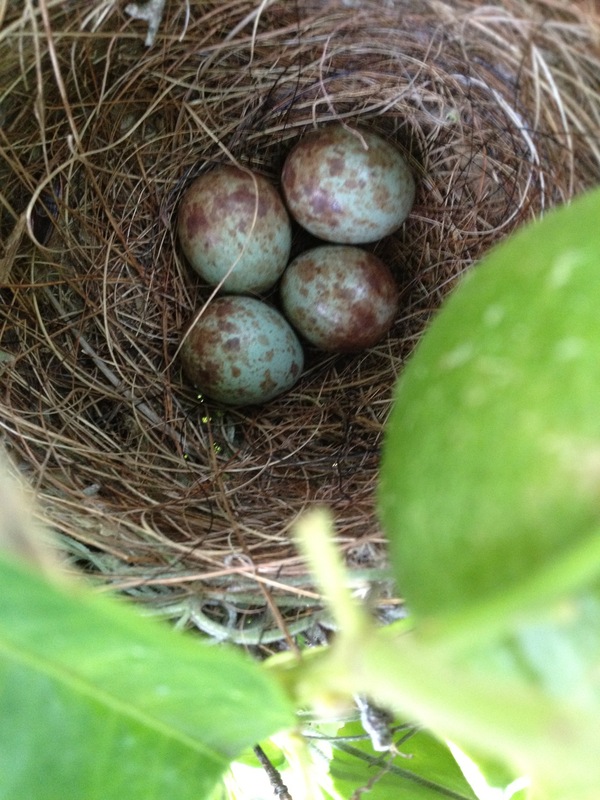 My husband found this yesterday in our grapefruit bush/tree. 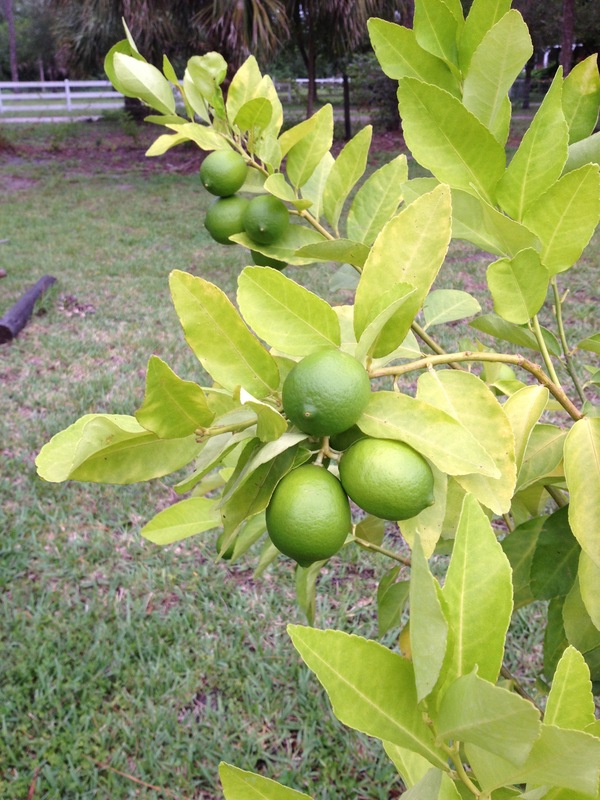 How does one know when limes are ripe? They just stay green! When we bought this house, it came with quite a few old oak trees. They are perfect shade trees, but even more perfect for a swing! I love it! It was one of the things I always wanted when I grew up – a tree big and strong enough to have a swing on. And now, we do. Almost a year after we moved in, I love that this house is starting to feel more like our home. Super awesome! Love to find little surprises in the garden. 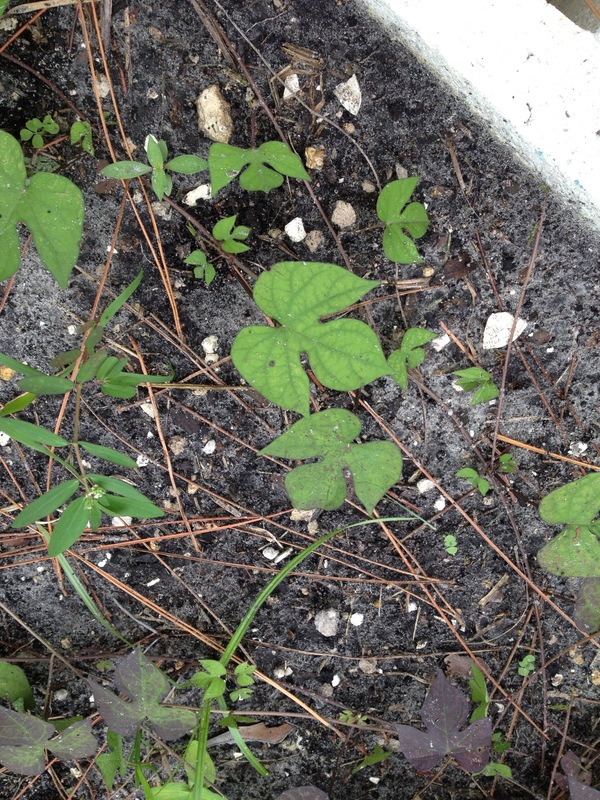 By chance are them little mystery plants morning glories or moon flowers? 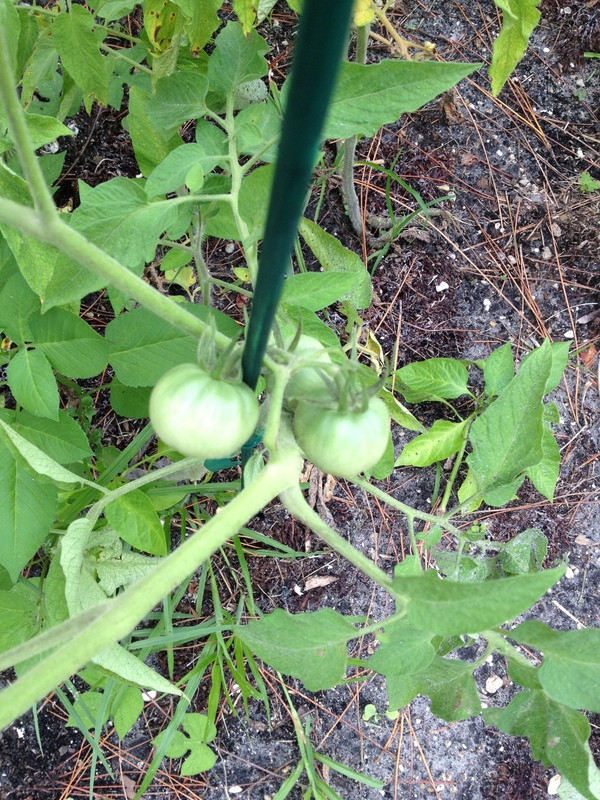 Have fun with all your veggies and fruits – great that you didn’t even have to work on growing them, ha! Thank you. I had a bunch of flats that I planted but when I tried to plant them, they fell apart and I was left with a bunch of scraggly plants with no root ball. I tried to plant them anyway, but don’t think they would take. Then I walked away… I saw some plants coming up, but haven’t really done anything with it. It was a nice surprise to see so much had taken root. I wish the watermelon had taken too – maybe next year!